Salman Khan's Launches Being Strong - A Fitness Equipment Range To Suit India's Fitness Requirements! Salman Khan’s Launches Being Strong – A Fitness Equipment Range To Suit India’s Fitness Requirements! 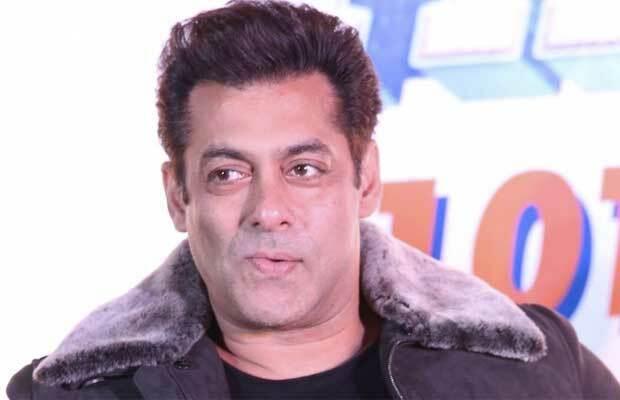 Superstar Salman Khan, who is undeniably the most influential fitness icon of India, has entered into a joint association with India’s largest fitness equipment company- Jerai Fitness Pvt. Ltd. to launch the equipment brand Being Strong. As part of the association, Jerai equipment will now be branded exclusively as Being Strong fitness equipment. Jerai Fitness equipment has been in the business for almost 25 years. It is India’s only company which manufactures state of the art fitness equipment on its own in India and competes with some of the largest international equipment brands, making India proud in the global markets. Being Strong will also be supplying equipment to some of the largest gyms in various countries. Being Strong envisions making fitness accessible to every Indian with made in India, state-of-the-art-fitness equipment. Being Strong will have a phenomenal reach and penetrate through the roots of the nation to create fitness awareness and propagate to the masses the importance of Being fit and healthy. With this joint association, Salman Khan and Jerai Fitness’ Being Strong looks at reaching a wider population and accelerate the Fit India movement. Previous articleBack To Back Success Makes Kriti Sanon The Most Sought After Actress, Here’s How!